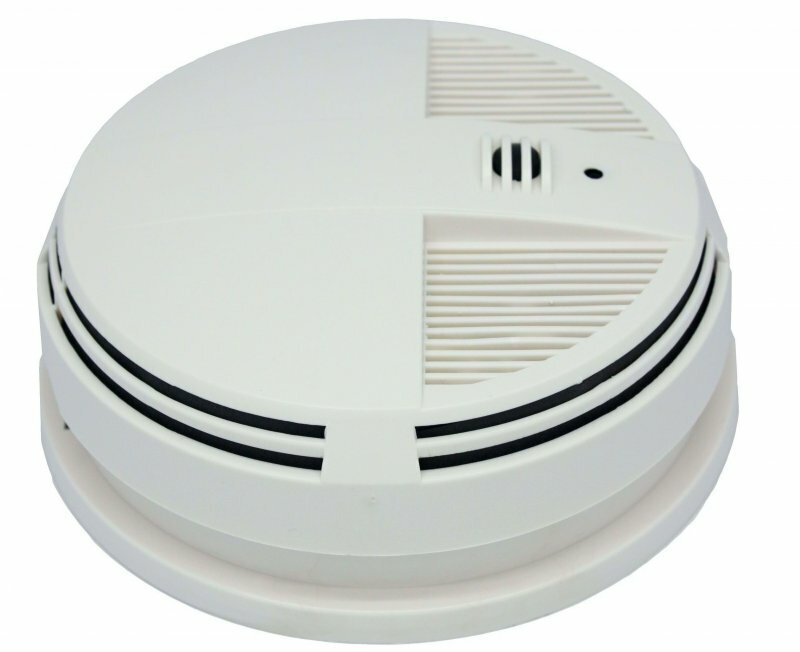 A new improvement in discreet home surveillance, the Zone Shield Smoke Detector Side View Camera gives you a hidden camera for your home or office. This camera looks exactly like a regular smoke detector and will record video from a camera hidden on the side of the device without anyone knowing. The SG1545WF runs off of AC power, so just set the camera up with an extension cord or pigtail through a wall and you'll never need to worry about batteries! The camera comes with built in WiFi to allow you to view video anywhere with a smartphone or tablet. The perfect camera to blend into any home or office! Note: This device runs only on AC power, as shown in the above picture. Camera must be plugged in to record. Can easily be extended with an extension cord or pig-tail to plug into your most discreet outlet. The displayed shipping price is for '1' Night Vision Smoke Detector Camera DVR with WiFi (Side view). To find the shipping cost for all your items, please view your cart.